Big important changes at Citi today! A few people have been appointed to Subcommittees of the Audit Committee and the executive committee, which never met and had few responsibilities beyond setting out leaf cookies, is being disbanded. Now, I know what you&apos;re going to say--deck chairs on the Slocum, etc. Wrong. Insiders tell Dealbreaker that the aforementioned measures are merely Citi&apos;s way of easing into things; by Friday, IB and prime brokerage will be gone, as well, modifications sure to have an affect on the crippling adversity currently faced by the firm (whether this will translate to profitability or simply get people to laugh, which they never do anymore, remains to be seen). And speaking of unorthodox tactics that maybe could shock everyone by being effectual, prints of the following will be hung in all men&apos;s room, starting tomorrow. 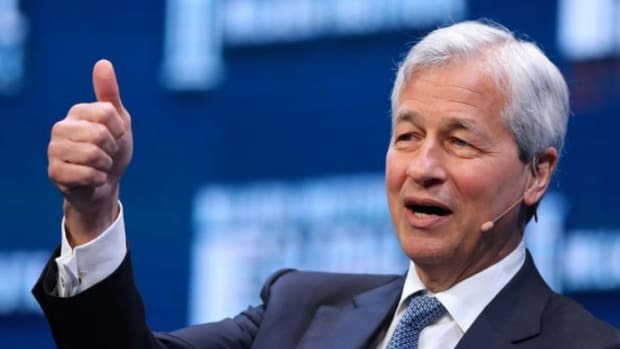 Sorry Seth Golden, it's Jamie Dimon's turn to make some money now.